At the UT Health Science Center San Antonio’s South Texas Research Facility, Dr. Martin Paukert, M.D., is performing surgery on a tiny scale in mice brains. With the mice anesthetized, he excises a small portion of the skull, of the size of a pinhead, mounts and seals a window to the brain. 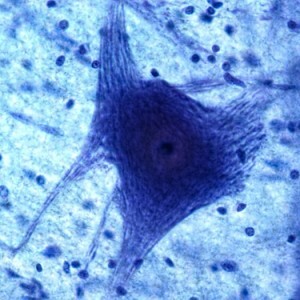 This technique allows Dr. Paukert and his team to monitor the response of astrocytes (support cells of the central nervous system) to environmental stimuli like light and walking. A remarkable aspect is that this information is acquired in real-time. 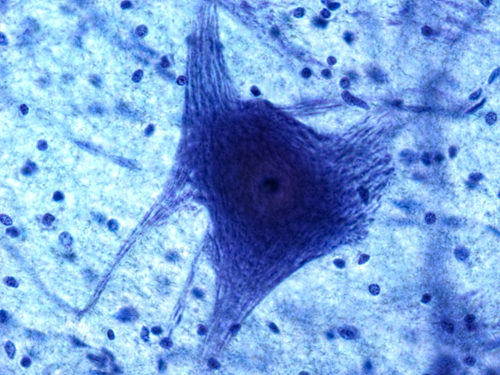 Using this custom-optimized system, where the mouse is conscious having free movement of its legs and with the brain immobilized under the microscope, it is possible to measure spikes in calcium signaling in the astrocytes that result from certain stimuli, for instance, when the mouse follows the movement of a motorized treadmill. [adrotate group=”15″]“This technique gives us a window into how brain cells engage in a cross-talk and how these communications are determined and interpreted by a certain behavior,” explained Dr. Paukert, who also mentioned that such technique has the potential to identify therapeutic targets for drug development for several important neurological diseases. Astrocytes are known to be helper cells that also facilitate the cognitive functions of the brain, but how they engage during different behaviors is poorly understood. In 2014, Dr. Paukert and colleagues published in the journal Neuron the study “Norepinephrine Controls Astroglial Responsiveness to Local Circuit Activity”, where they show that the release of norepinephrine, which is a stress hormone associated with attentive states, activates astrocytes, it primes astrocytes to detect changes in the cortical network activity. The team found that locomotion triggers activation of astrocytes, but that this astrocytes stimulation is blocked by norepinephrine depletion from the brain. Moreover, they also found that norepinephrine release increases astrocytes calcium signaling. The authors concluded that norepinephrine enhances the sensitivity of astrocytes response to neuronal activity. This new technique can be applied in understanding the molecular events and the behavioral context that leads to astrocytes calcium dynamics and alterations in mouse models of neurodegenerative diseases. Alzheimer’s disease, a major neurodegenerative disease in adults, is on the agenda for further studies by the team.